There are challenging movies to review and then there are movies that almost seem impossible to review. 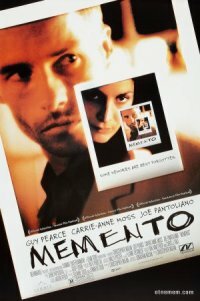 The 2000 movie “Memento” is unlike any other movie I’ve ever reviewed and there’s no way I can do it justice. I’m almost reluctant to review this film because I think it’s a film you really just have to see for yourself, however it’s a film I’ve wanted to talk about for a long time and I always love a challenge. The movies directed by Christopher Nolan and as always, he’s a master of his craft. He truly is a visionary genius who puts interesting story’s and even thought provoking concepts into a film production that go beyond expectations and his later films like “Inception” and “The Dark Knight” certainly prove that. The plot focuses on a guy named Leonard Shelby (played very well by Guy Pearce), who suffers from short term memory loss. After something happens to him, he forgets about it 5 min latter. All he remembers is his life before suffering from a head injury. The last thing he remembers is seeing his wife murdered, now he swears to find the man who murdered her. The film does a brilliant job putting you in his place by having all events of this movie play back words, that’s right, as far as I know this is the first movie to play the events back words as opposed to going in a linier order. It feels very disorienting and confusing at first but you catch on to what’s going on soon and it really puts you in the characters place. There are several scenes when Leonard would find himself doing something and not knowing how he got there or what he’s doing. My favorite part in the whole film is this one scene when he finds himself running and he thinks he’s chasing someone, Leonard leaps in front of him only to find out that the other guy is actually chasing him. The following line from Guy Pearce is delivered in such a perfect dead pan expression that I was just rolling with laughter. We also have a very strong cast (most of whom stared in “The Matrix”). 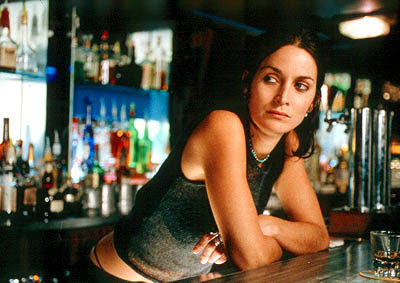 There’s a character named Teddy played by Joe Pantoliano (who played Cypher in “The Matrix”) and Carrie-Anne Moss (who played Trinity in “The Matrix”) stars as this very mysterious woman named Natalie. At first she seems like a nice person and is fairly helpful but her character has a sudden change at the end. I’m really lost as how to properly continue reviewing the film because it’s one of those things you just need to see for yourself. I really just wanted to bring the film up and hopefully it could get someone’s attention. It’s very confusing at first but it’s such a unique film with such an original premise and enough mystery threads to keep you invested. I’d be lying if I said it’s a film I watch often but if you haven’t seen it then it’s definitely worth checking out. 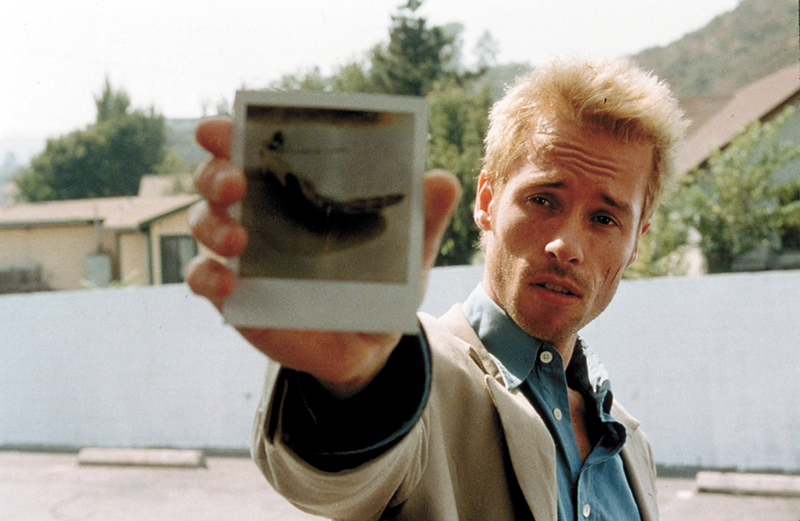 I give “Memento” 3 stars.